CTET 2018 Notification is expected to be released on 22nd June on the official website that is ctet.nic.in. The Central Board of Secondary Education will be conducted the Central Teacher Eligibility Test (CTET) examination on 16th September 2018. Therefore, all the candidates who are eligible to apply and want to appear in this examination are suggested to fill CTET Application Form 2018 for the examination, after the release of an online form till last date 17th July 2018. All the examination details and CTET online form will be released soon on the official website. Central Teacher Eligibility Test (CTET) is a test which is conducted by CBSE every year whereby candidates get an eligibility certificate for the appointment of a primary teacher for class I-V and Upper primary teacher for class VI-VIII. CTET 2018 Exam will be conducted to fill all the vacant positions in all central schools like KVs/NVs etc. This exam makes the candidates eligible to appear in different teaching exams like TGT, PGT etc. This is just an eligibility test which is required to be passed by the candidates as a qualification criterion. Here we have mentioned all the important details like CTET 2018 Eligibility Criteria, vacancy details, age limit, notification, exam pattern, syllabus, etc. CTET 2018 Exam Details: CTET is an eligibility test which is needed to be qualified to apply or appear for different exams TGT, PGT, TET, BTC, NTT. There are no fixed vacancies allotted by CTET as the number of vacancies are divided into subzone according to the different exams conducted by the government. The latest no. of vacancies will be soon released and notified on the official website. For further more information you can log on to its website. Applicants who aspire to crack CTET 2018 Eligibility Criteria should satisfy at least one condition from this list of eligibility criteria. 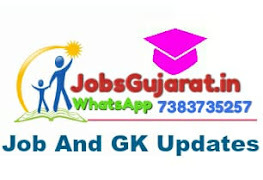 Eligibility criteria for class 1st to 5th are different and eligibility criteria for an upper primary class teacher for 5th to 8th are different. Let us have a look at the eligibility criteria described below. Senior Secondary (or its equivalent) with at least 50% marks and passed or appearing in final year of 4- year Bachelor of Elementary Education (B.El.Ed). Graduation and passed or appearing in final year of two year Diploma in Elementary Education (by whatever name known). Senior Secondary (or its equivalent) with at least 50% marks and passed or appearing in final year of 4- year Bachelor in Elementary Education (B.El.Ed).